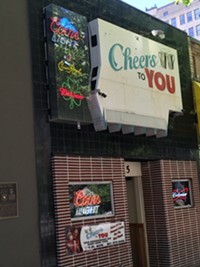 Located right in the middle of Salt Lake City's downtown action, Cheers to You is one of the chillest bars in the area. The round red booths give you a sense of privacy while still allowing you to enjoy the full bar experience. Karaoke Friday nights might be the busiest, but with a back room full of pool tables and events going on every night, this neighborhood dive bar is a Salt Lake City favorite.